A roundup of things to do in and around Seattle the week of April 17, 2016. All aboard for Mars. Conceptual artist Tom Sachs takes the audience on a cleverly conceived low-budget interplanetary flight into the surreal via a live-action art installation. Now playing at the SIFF Film Center. For showtimes, see Page H7. For Soren Andersen’s 3.5-star review, go to seattletimes.com/movies. this six-part miniseries, based on John le Carré’s spy novel, stars Tom Hiddleston, Hugh Laurie and Olivia Colman. Series premiere, 10 p.m. Tuesday, April 19 on AMC. Comedian Schumer is back for a fourth season of her unique brand of humor. Season premiere, 10 p.m. Thursday, April 21, on Comedy Central. Seattle Restaurant Week — the giant among restaurant promos — is back for its springtime 2016 run, with 165-plus places serving up $30 three-course dinners (and lots making $15 two-course lunches) through April 21. How to make the most of it? 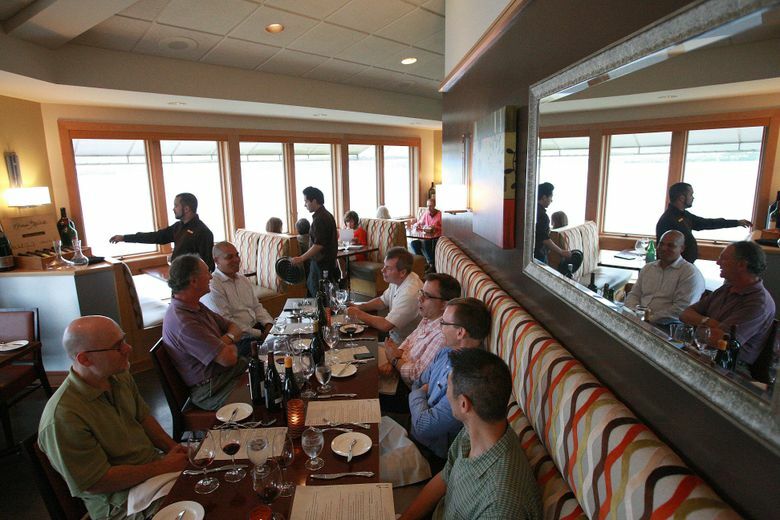 Get our recommendations for best values, best newcomers and swankiest ambience at seattletimes.com/life/food-drink. Spring means beautiful blossoms, as well as this fest, which offers traditional and contemporary Japanese dance, music, taiko drumming and martial arts performances, art displays, food, children’s kite making, kimono and armor dress-up activities, tea ceremony and ikebana flower arranging demonstrations and origami airplane contests, 10 a.m. to 6 p.m. Friday-Sunday, April 22-24, Seattle Center Armory, Fisher Pavilion and Seattle Center Pavilion (206-684-7200 or seattlecenter.com). Tulip Festival events continue through April 30, but the fields are in full bloom right now. It’s a good idea to check updated bloom maps online or get information from the festival office before heading out. The two main display gardens generally show color throughout April: RoozenGaarde, 15867 Beaver Marsh Road, Mount Vernon; $4-$5 (360-424-8531 or tulips.com/); and Tulip Town, 15002 Bradshaw Road, Mount Vernon; $6 (360-424-8152 or tuliptown.com/); Tulip Festival Office open 9 a.m.-5 p.m. daily, 311 W. Kincaid St., Mount Vernon (360-428-5959 or tulipfestival.org). The last time Paul McCartney performed in Seattle he brought out the surviving members of Nirvana — Krist Novoselic, Dave Grohl and Pat Smear for an all-star jam that included the new song, “Cut Me Some Slack.” McCartney has a catalog that stretches back five decades and the musical chops to pull out some big surprises. 8 p.m., Sunday April 17, KeyArena, 305 Harrison St., Seattle; $39.50-$250 (800-745-3000 or ticketmaster.com). The immensely talented Olympia-based author and artist has a new book for young readers out. Hear her discuss “Waiting for High Tide” at 3 p.m. Sunday April 17, Elliott Bay Book Co., 1521 10th Ave., Seattle; free (206-624-6600 or elliottbaybook.com). She’s worked for three decades at the New Yorker, copy editing the likes of Philip Roth and Pauline Kael. She tells all in her manual for editing quandaries of all types, “Between You & Me: Confessions of a Comma Queen,” new in paperback. She’ll speak at 7 p.m. Wednesday April 20, at Folio: The Seattle Athenaeum, 314 Marion St., Seattle; $5 (206-402-4162 or folioseattle.org). The well-regarded, innovative New City Theater marks the 400th anniversary of Shakespeare’s death with an enchanting staging of the Bard’s final play. New City’s production “conjures all sorts of magic of its own with expert, spare stagecraft, while offering a deeply satisfying examination of Shakespeare’s text,” writes Seattle Times critic Dusty Somers. Through April 30, New City Theater, 1406 18th Ave., Seattle; $20-$35 (206-271-4430 or newcitytheater.org). A little passion to end your week? The orchestra’s concerts of Thursday, Saturday and Sunday might fit the bill. Ludovic Morlot will conduct a program of Tchaikovsky’s “Romeo and Juliet” Fantasy Overture, Mendelssohn’s Overture to “A Midsummer Night’s Dream,” Szymanowski’s Symphony No. 3 (“The Song of the Night”) and Britten’s Nocturne (with British tenor Mark Padmore). 7:30 p.m. April 21, 8 p.m. April 23 and 2 p.m. April 24, Benaroya Hall, Seattle; tickets from $21 (206-215-4747 or seattlesymphony.org). Also: the SSO’s late-night lobby concert series continues at 10 p.m. Friday, April 22, with a performance of John Luther Adams’ “In the White Silence.” See website for details. After traveling for 10 months through 26 countries in Asia, Africa and South America on a University of Washington grant, local sculptor George Rodriguez brought his aesthetic observations home with this exhibition that touches on decorative flourishes from Thailand to Peru. 10 a.m.-6 p.m. Tuesdays-Saturdays, through April 23, at Foster/White Gallery, 220 Third Ave. S., Seattle (206-622-2833 or fosterwhite.com). As Seattle Times art critic Michael Upchurch writes: “Seattle’s Center on Contemporary Art (CoCA) has a scrappy, whack-a-mole vitality. Just when you think it might have retreated underground permanently, it pops up again” with a show of artists whose work ranges from bedazzled “Star Wars” costume pieces (Zack Verde) to paintings of criminal mug shots on paper bags (Chris Crites). 1 p.m.-7 p.m. Fridays-Saturdays through April 23 at CoCA PS35, 106 Cherry St., Seattle; free (206-728-1980 or cocaseattle.org).